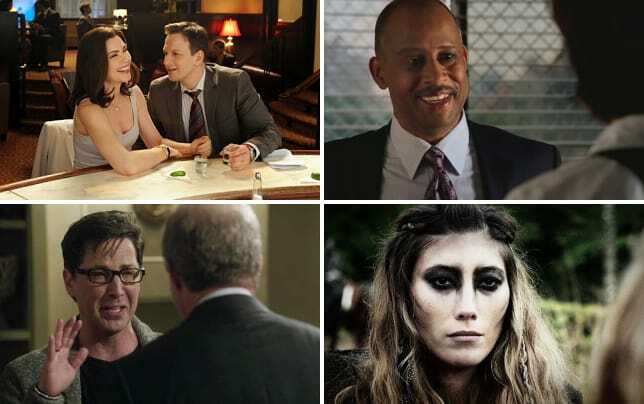 You can’t control fate, but you can make choices and Alicia finally started making some in The Good Wife Season 7 Episode 13. But were they the right ones? Let’s face it, Alicia Florrick has been walking around like a zombie over the last several weeks. She hasn’t seemed truly happy since I can’t remember when, but Eli’s confession really took her under emotionally. Yes, she’s functioning, but she’s obviously miserable. Was suing Judge Schakowsky the right course of action for her client? Maybe there weren’t a lot of other options, and I felt horrible for the poor guy; he didn’t deserve eight months in jail before even having a trial. But suing a judge was a long shot at best. If Alicia had thought it through perhaps she would have seen that most attorneys stuck in bond court would knuckle under to Schakowsky’s intimidation techniques and that judges tend to side with one another. Jason’s return was a surprise, and I’m thrilled he’s back because I enjoy his character. But I question where he and Alicia are headed. I’ll get to that in a minute. I was happy that Lucca confronted Alicia head on about her behavior and didn’t back down when Alicia walked off in the middle of their conversation to do laundry. Okay, Zack can be kind of a self-absorbed brat, but Grace is awesome! I’m no doctor, but I’m willing to say that Alicia is feeling this way because she is clinically depressed, and the added alcohol isn’t helping anything. Also, I kind of laughed when she kept complaining about her “stupid, little apartment.” Figuratively speaking, I’d kill for that apartment! But once again, I realize that those feelings stem from her depression where in everything looks bleak. Lucca handled the situation very well, except for one thing. First she hugged her. Then she said that she needed and wanted Alicia as a friend and that Alicia had the power to choose her. That was a very sweet moment between the two women. Making sure Alicia had no guns in the house was also a good move. The only thing that was missing was trying to get Alicia help. Depression doesn’t disappear over night, and Alicia should see a therapist to talk this through and get some treatment. I really hope that the show hasn’t built up this storyline with Alicia’s depression and excess drinking only to drop it after one conversation with Lucca because that would be unfair to all of the people out there watching who may be dealing with depression themselves. Back to Jason, as much as I love that he’s back, I hate that Alicia kissed him. She’s depressed. She’s mourning Will and their relationship all over again. As much as I wouldn’t mind seeing Alicia and Jason get together at some point, right now seems like poor timing. It feels as though Alicia is using him to put a Band-Aid on all the things she doesn’t want to deal with. I'm not saying that it makes up for what Eli did or that hearing about that voicemail shouldn't affect Alicia, but it's not like she and Will never got their chance. Diane’s case wasn’t all that exciting, but I did enjoy watching her argue it. I found it preposterous that a college would close down it’s newspaper over one editorial it didn’t agree with, but in a day and age where students need “safe zones” in order not to be offended, perhaps it’s more likely than I’d like to believe. But it was the end of the episode that brought the moment I’d been waiting to see, as Cary asked Alicia to come back to the firm. I think it’s time. Working on her own has been more stressful than Alicia ever anticipated, and she’s simply not up for the fight right now. Besides, I think it will be entertaining to watch Diane, Cary, Alicia, David Lee, Monika, Lucca, and Jason all working together. What do you think? Should Alicia head back to Lockhart, Agos, & Lee? 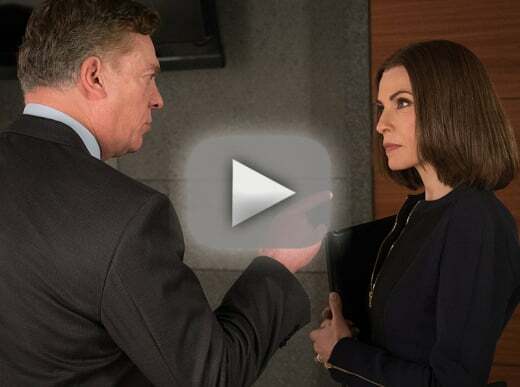 Check back in on Wednesday to see what our The Good Wife round table team has to say and if you can’t wait for more, you can watch The Good Wife online here at TV Fanatic.